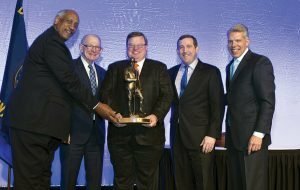 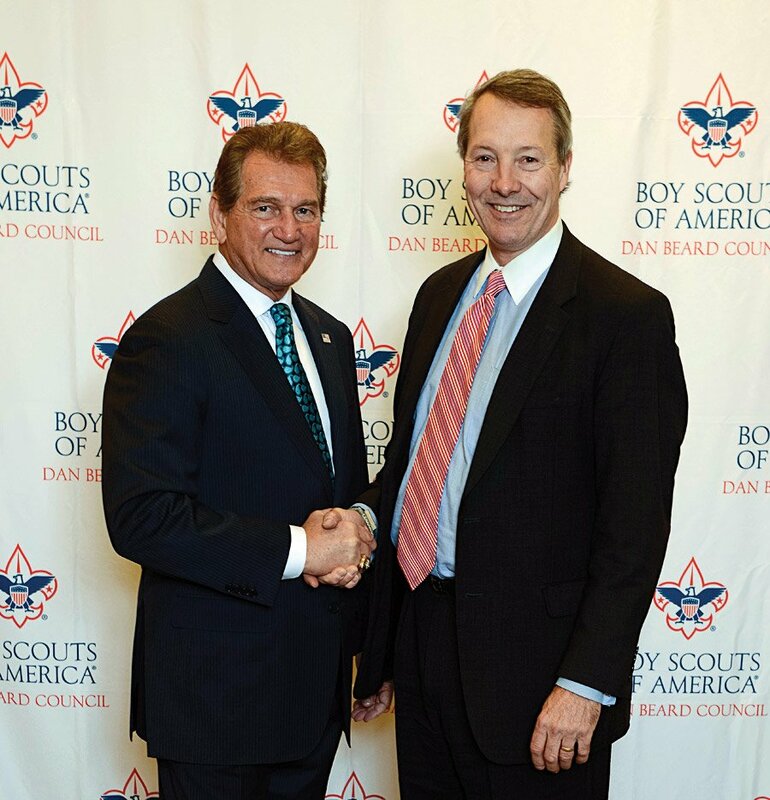 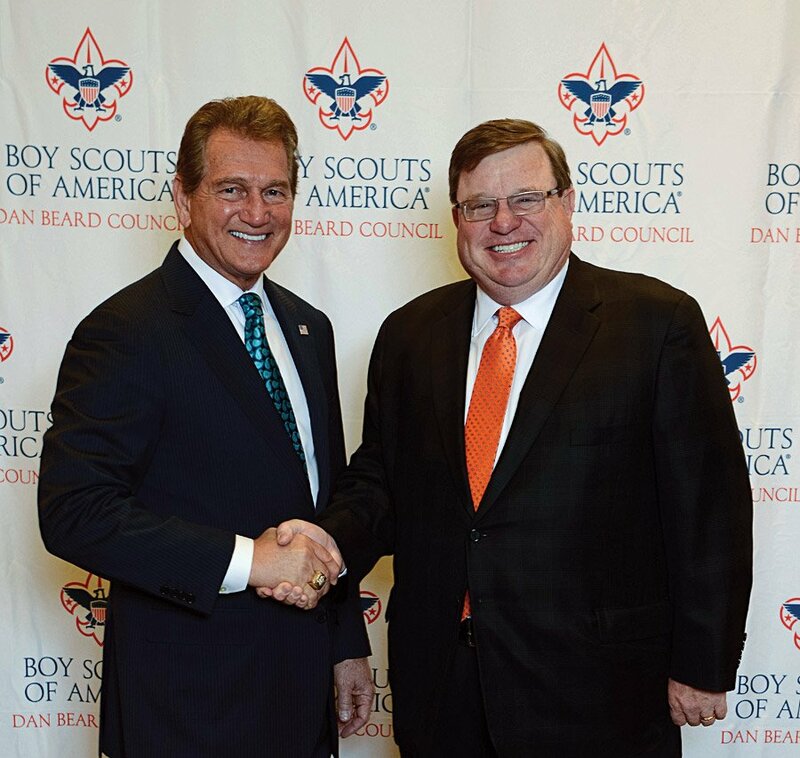 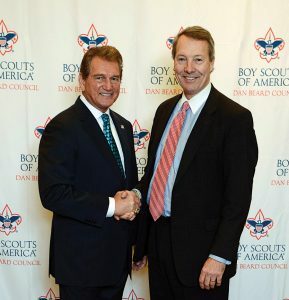 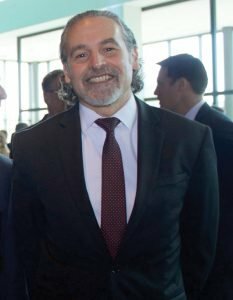 More than 1,100 people gathered for the annual Dan Beard Council Good Scout Award Luncheon to celebrate the accomplishments of Chris Cole and raise $500,000 for Boy Scout programs. The event took place at Duke Energy Convention Center. Cole, who earned the rank of Eagle Scout as a youth, founded Intelligated and serves on several nonprofit boards. 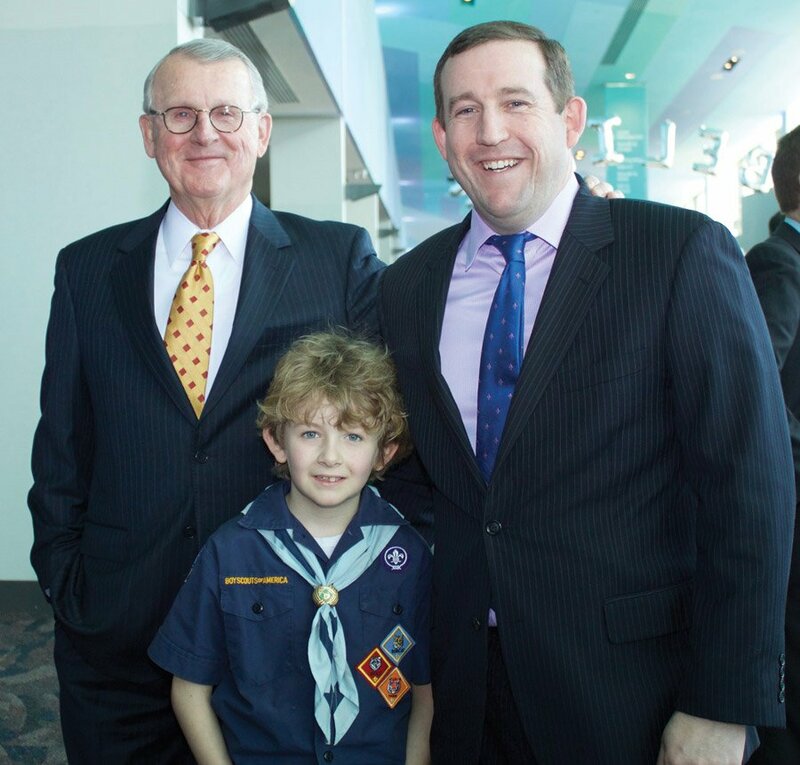 Council board chair Doug Bolton and board president Edgar Smith presented Cole with a statue of Dan Beard, a Boy Scouts founder, in recognition for being this year’s Good Scout Award honoree. 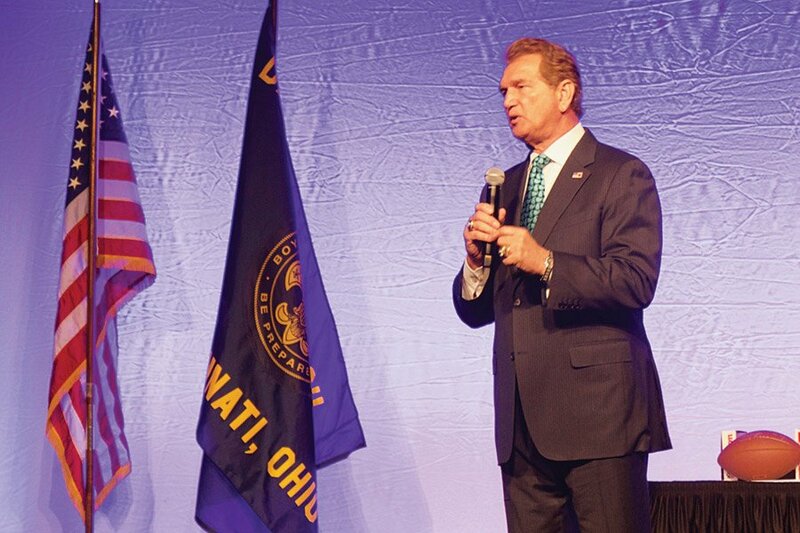 Former NFL quarterback and Super Bowl MVP Joe Theismann was the guest speaker. 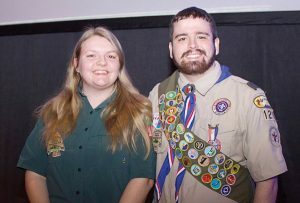 He shared stories of his days in the NFL and his experiences as a Boy Scout. He ended the luncheon by throwing footballs to the audience. 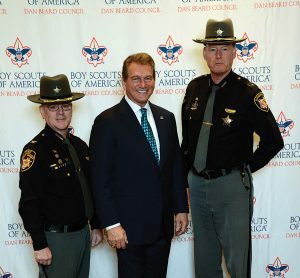 The event was emceed by Rob Braun of Local 12 WKRC, who is also an Eagle Scout. 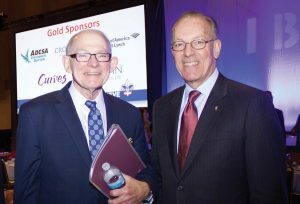 Tom Dugger, Dan Beard Council CEO and Jack Kraeutler, executive chair, Meridian Bioscience Inc.